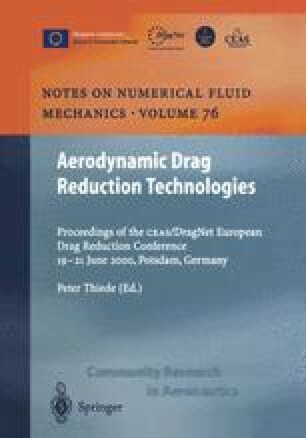 A new approach to the aerodynamic design of Hybrid Laminar Flow Control suction systems is presented. The defmition of suction chamber layout and pressures has been closely coupled with the boundary layer and stability analysis methodology to provide a numerical tool to help in the design of a suction system. The new approach also provides a direct link between the cost functions of suction system mass and power with the aerodynamic drag benefit, yielding a more streamlined design procedure. Practical constraints appear at an early stage in the process rather than late in the day after much effort has been expended. To demonstrate the power of the technique, the advantages and penalties associated with two different chamber layouts are discussed. Further research is required into the control of crossflow instability and the oversuction phenomenon before the method can be fully exploited.